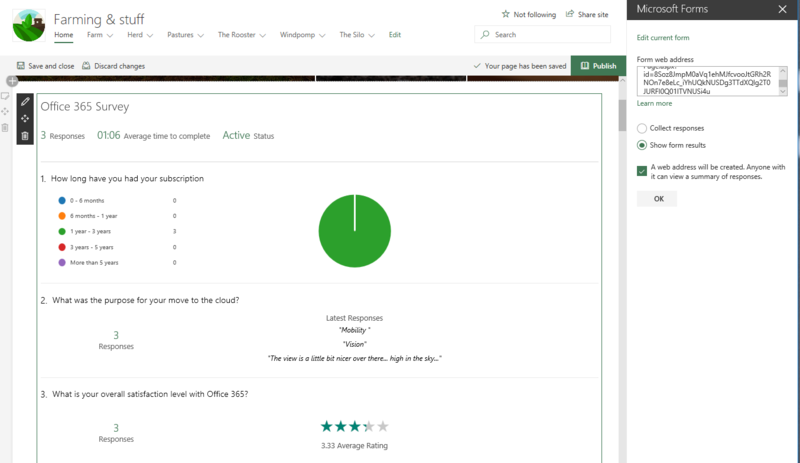 #Microsoft365 #Office365 #SharePoint – This web part is not just used to embed your survey form on a SharePoint page (and allow for submissions) – but also enables you to share the results of surveys with other people. Appreciate the work in creating the help doc. Thanks!